A statue of St. Isaac Jogues before the Martyr’s Shrine, Midland, Ont., Canada. Photo by Michael Swan. Separated for almost a century, Canada’s two Jesuit provinces—the English Canada Province and the Province of French Canada and Haiti—will reunify on July 31. Technical and legal issues remain—Quebec, for example, has special laws for religious incorporation—but the merger has presented more challenges than merely overcoming bureaucratic or cultural distinctions. Those styles are not simply a matter of preference, however. Owing to significantly distinct cultural contexts, the differences, which Father Bisson says can sometimes feel like “irritants,” reflect the complicated history of Canada—a history that prominently features the Society of Jesus. The Jesuits were among the first missionaries on the scene in “New France,” the colonized portion of North America that included French Canada, with two French Jesuits arriving in 1611. The society waxed and waned over the next few centuries. Despite completely dying out in Canada in 1800, Jesuits returned and were thriving in French-speaking regions Canada by the 20th century. In 1924, the number of Jesuits and Jesuit ministries in English-speaking Canada had increased so much that it warranted the creation of a new province, dividing the Canadian Province linguistically, initially with French Canada as the mother province. The two provinces developed for nearly 100 years in parallel cultures Canadians sometimes refer to as “two solitudes.” In English Canada, Catholics were a strong minority within the larger Christian population, not unlike in the United States. 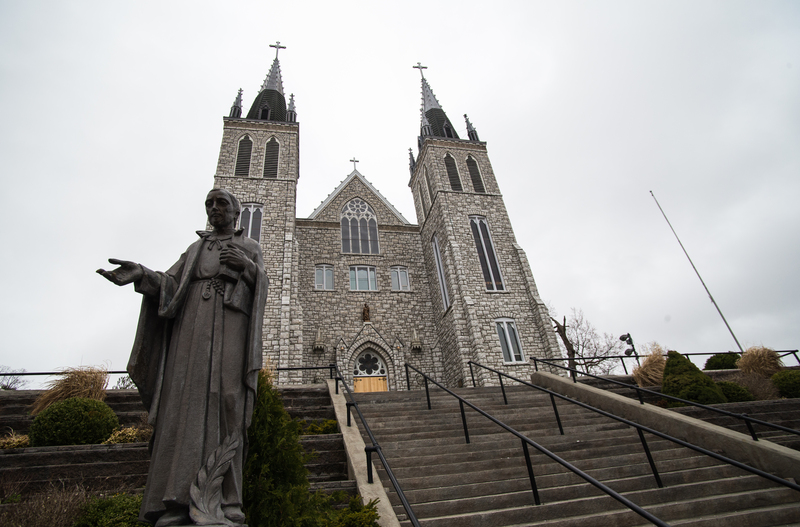 In Quebec, for much of the 20th century, Catholicism thoroughly permeated society until 1960, when things in the overall Canadian society changed drastically and the Jesuits along with them. Quebec historically had been a stronghold of the Catholic world among British and formerly British colonies. Following the bloody Seven Years’ War of the 18th century, ending with a British victory over France in Canada, the British eventually allowed Quebec to retain its French Catholic identity. Quebec joined the Canadian confederation in 1867, making the province a bastion of French Catholicism in a country with a wide English Protestant majority. In the 20th century, Quebec industrialized but did not culturally modernize. After World War II, a conservative provincial government led by Maurice Duplessis oversaw the maintenance of a Catholic Quebec alongside the growth of private industry. Mr. Duplessis was known as being avidly against workers’ rights and unions, however, and he invited corporations to take advantage of Quebec’s cheap labor. Most of the economy was controlled by the business interests of an English elite, deepening the rift between French and English Canada. Mr. Duplessis and his party, Union Nationale, actively resisted social change and courted Catholic support, and the Catholic Church was happy to oblige as the primary source of education, health and welfare services, exerting considerable influence over public policy and social life. Mr. Duplessis died in office in 1959. Then came the “Quiet Revolution,” a massive social and political shift in Quebec. In 1960, the Liberal Party replaced Union Nationale, whose governing period came to be known as “La Grande Noirceur,” or“The Great Darkness.” What followed was a moment of rapid political modernization and secularization as Quebec nationalized a number of industries and excluded the Catholic Church from its previous social roles. Church membership dropped dramatically. The Catholicism that survived was by virtue of the times inflected by the attitudes of Vatican II, and Canadian bishops gained a reputation in the ’70s for speaking the language of social justice. For the Jesuits in Canada, this meant a century of considerable change, especially since the provinces are divided linguistically rather than geographically (meaning a Jesuit in the English Canada Province, for example, might actually be based in Montreal, Quebec). Where the French province was once the source of Jesuit activity, the English province would be far more consistently populated by the 21st century. Both provinces had to contend with the consequences of the exploitation and marginalization of French Canada, prejudice among English Canadians and suspicions among French Canadians. Alongside a general decline in vocations, the median age of Jesuits in French Canada is now in the high 70s and around 70 in English Canada. This situation has pressed the Society of Jesus to adapt in creative ways, both to meet their own needs and the needs of Canada’s Catholics. Missionary efforts from French Canada in Haiti proved successful enough to add Haiti to the French Canadian Province. Vocations are growing there—the median age of a Haitian Jesuit is under 40. Jesuits are also often cited as leading the way within the Catholic Church in reconciliation efforts with indigenous communities in Canada. Last summer, a group of young Jesuits organized a canoe pilgrimage inviting indigenous and non-indigenous Canadians to dialogue about reconciliation, a challenge for both English and French Canada. The Jesuits have been trying to find ways to navigate the Canadian linguistic and cultural divide within their order for quite some time. Since 2008, all young Jesuits in Canada are expected to be bilingual, reflected in a unified novitiate in Montreal that was directed by Father Oland before he became a provincial. Structural changes like unifying the novitiate and the upcoming unification of provinces are an extension of the society’s hope for reconciliation. “The French/English divide and the indigenous/non-indigenous divide really are profound wounds in Canada,” says Father Bisson. In the case of indigenous relationships, Father Bisson says apologizing for participating in colonization and Canada’s infamous residential schools for indigenous children was a risk because it could have led to lawsuits. Instead those acts of contrition have “opened [the society] to new life.” Negotiating French-English relationships means considering a history of discrimination and vulnerability, which both provincials say means not only trying to notice cultural differences but taking the time to understand them, too. In practical terms, Father Oland will become the provincial for the unified province, while Father Bisson will begin a sabbatical. The government of the province will be bilingual, and an office will be established to provide translation services for the Jesuit Conference of Canada and the United States. The society will also consider how to revivify its presence in Quebec, for example, considering partnerships related to the Gesù, a prominent theatre and arts space and historical monument in Montreal founded by the Jesuits. Both provincials share a hope for the new province that the “wisdom” approach of French Jesuits and the “prophetic” approach of English Jesuits will be complementary, leading to creative, fresh approaches to evangelization in Canada. “People are used to hearing bad news about the church,” says Father Bisson. “It would be good to hear the church is doing something new.” They also added the importance of focusing on justice for indigenous communities, which Father Oland says has been a “rallying point” for Jesuits in both provinces. Canadian historian Jacques Monet, S.J., once said: “You can’t tell the history of Canada without the history of the Jesuits.” Whether or not this holds true for another 100 years remains to be seen, but Jesuits hope their unification might be a witness in a nation riven by cultural trauma. “This really is quite an adventure. It’s prophetic,” Father Bisson says. Maybe they would have benefited from a common language owned by nobody - like, say, Latin? Why did it take until 2018 to make such an obvious unification ? Maybe when the French and English-speaking provinces merge the food will get better, curb their irrational love of "curling" as a national sport. Dean Detloff wrote something about the median age of Canadian Jesuits, but nothing about their actual numbers. Are there ten Jesuits in the Province of Quebec and ten Jesuits in Ontario? Or a hundred in each? This article also appeared in print, under the headline "A ‘prophetic’ merger of Canadian Jesuit provinces ," in the April 16, 2018 issue.